After studying the data that we have gathered for this Sports Research Phytoceramides Skin Hydration review, we think that this could be a decent product to try. In this Sports Research Phytoceramides Skin Hydration review, our goal is to know whether this skin care supplement can actually provide hydration to the skin to inhibit premature aging. 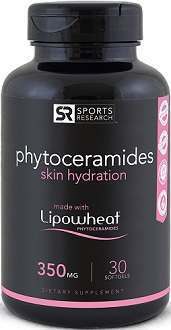 According to Sports Research, their Phytoceramides with Lipowheat actually works when it comes to keeping signs of aging at bay by using a product that has been specially formulated to improve the skin’s condition such as roughness, itching, redness, and squamae. Let’s find out if there is any truth to these claims. This product only contains 350 mg of phytoceramides as the main ingredient. Other ingredients include kosher gelatin, kosher vegetable glycerin, and purified water. It’s true that there are plenty of phytoceramide supplements being sold today. There are some that make use of homeopathic ingredients, while others combine natural ingredients with herbal ones. This product contains all-natural ingredients at a dosage that may deliver the skin care benefits that you need to prevent wrinkles and other signs of aging from appearing. However, unlike some other products, this supplement does not contain any anti-aging vitamins to boost the effectiveness of the product. According to our research, the manufacturer recommends that you take one capsule with a meal every day. There are no known side effects associated with this supplement. However, if you are allergic to wheat or gluten, it is best to look for other phytoceramides that do not contain wheat or gluten to avoid any side effects. 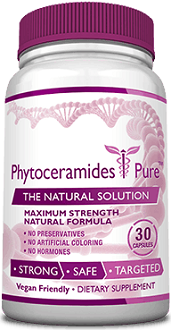 If you want to try Sports Research Phytoceramides Skin Hydration, you can purchase a single bottle of 30 capsules for $19.95 from Amazon. This is the cheapest that we have found with prices varying from one retail outlet to the next. It is possible to get discounts if you purchase several bottles. We did not find any mention of money back guarantee with regards to Phytoceramides by Sports Research. However, the refund policy of the online retailer store may be followed if you want to return the product. The guarantee tends to vary from one seller to the next so make sure that you study these terms first before purchasing this supplement. After studying the data that we have gathered for this Sports Research Phytoceramides Skin Hydration review, we think that this could be a decent product to try. 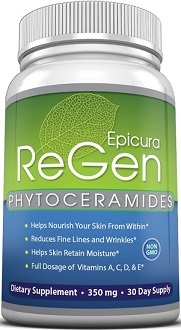 What we like about this particular phytoceramides supplement is that it makes use of all natural ingredients that have positive effects on a person’s skin. There are no additives, fillers, or binders included in this supplement so you can rest easy knowing that you are getting quality ingredients for this skin supplement. The price of this skin supplement is also affordable, plus there are no known side effects linked to it. However, we are concerned with the lack of money back guarantee for Sports Research’s Phytoceramides as this would benefit its customers. Also, we did not find any mention of discount packages which could also be helpful to those who want to get the most out of their purchase. In conclusion, although Sports Research Phytoceramides Skin Hydration sounds like a promising supplement for those who want to enhance their skin condition, the lack of guarantee and sufficient information about customer reviews and testimonials is questionable. There are other options available that are worth looking into.